Dri Eaz® Dehumidifiers Provide Humidity Control For Applications Including Plumbing, Construction, Environmental And More. 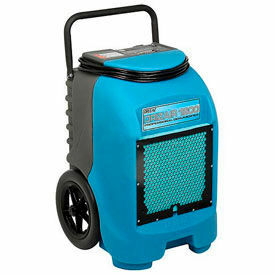 Dri Eaz® dehumidifiers are made of polyethylene for long lasting durability and corrosion resistance. Units are designed to manage internal moisture, leaks and spills and maintain overall humidity levels. Crossflow technology maximizes efficiency in low-grain environments. Includes electronic touchpad controls, humidistat and temperature display for operator convenience. Certain models feature pull handle and wheels for ergonomic handling and mobility. HAF filters enhance air filtration. Replacement filters sold separately. 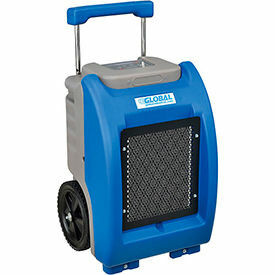 Daily dehumidification ranges from 74 to 240 pints. CFM ranges from 180 to 400. Color finishes are Blue, Blue/Black, Blue/Gray and Gray. UL, ETL and CSA approved. Dimensions vary per model. EBAC All Purpose Dehumidifiers Are Used For Use in A Wide Variety Of Residential, Commercial Or Industrial Environments And Applications. 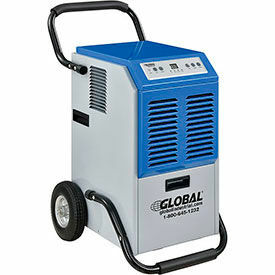 EBAC All Purpose Dehumidifiers are solidly manufactured for long lasting durability. Wide selection of heavy duty Compact, Portable, Floor or Wall-Mounted type units are designed to eliminate high humidity problems in various environments such as offices, laboratories, apartments, warehouses, restaurants, bars, storage rooms, electrical and communications switching stations, locker rooms, basements, pumping stations and more. 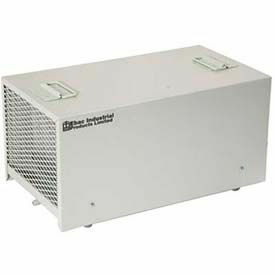 Choose from 1 or 2 speed up to 52 gallon saturation capacity. Pints per day up to 285. Voltages are 110, 220 or 440. 4 to 16 amps and 350 to 3680 watts. Dimensions vary per style. Desiccant Dehumidifiers Are Used For Various Commercial Or Industrial Product Manufacturing, Packaging Or Storage Applications. 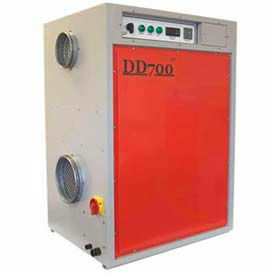 Desiccant Dehumidifiers are solidly manufactured for long lasting use, durability and dependability. Required wherever there is a need to lower the humidity level to prevent corrosion, mold growth and condensation or maintain a low humidity condition during manufacture, packaging or storing of hygroscopic products. Selected features include auto/manual mode selection, electronic controls, low temperature operation, variable fan speeds and more. Wide selection of 36 to 562 pint/day dehumidification capacity units available with 110, 220 or 460 voltages, 7.5 to 30 amps and 800 to 11800 watts. Must be installed by a licensed contractor.